those who lived on the Eucharist alone, who received the Eucharist miraculously or experienced levitations, visions, raptures, ecstasies, locutions, and other extraordinary phenomena. 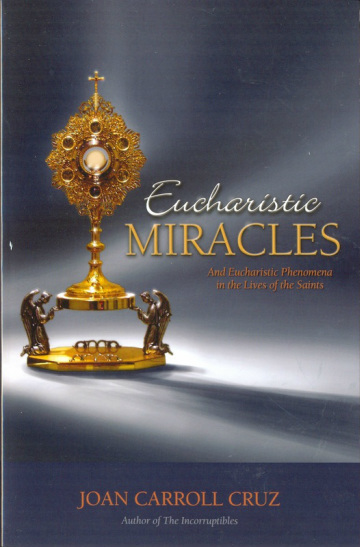 This book is a superb compilation of God's visible testimony of the truth of the Catholic Church, proving the reality of one of its greatest mysteries - the Real Presence of Jesus Christ in the Holy Eucharist. "Read, learn, and know that the Most Holy Eucharist is indeed the body and blood of Jesus of Nazareth, the Son of God, the Savior of the world."